15 June 2016 — Look at this page from my journal. I wrote this four months before I got sober. Two months before I started my Whole30 journey. 18 months before I’d start a year-long mind-body healing journey deep within. I’d cruelly abused my value by hating my body in all its size-22 bigness. Yet I still showed up to pole to try and build strength… and roll an ankle or blow out a knee. 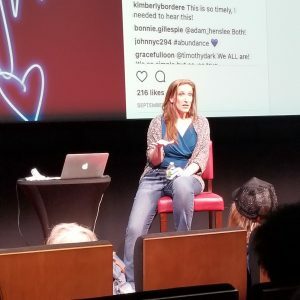 💫 I was about to spend a week on an Abraham-Hicks cruise to Alaska hoping it would provide a reset I knew I needed when I attended the Oprah event I mentioned in this journal entry. I had gone to the taping so happy to have bought expensive floor seats. Knowing I was buying energy-adjacent seating that was to show me where I could someday go. And as my enoughness lowered all day as my pre-game buzz wore off, I felt like a fraud. Flirting with the next tier has a fascinating way of driving us deeper into our pain, sometimes. This, of course, is all stuff for which I had a role model to follow. My sweet mother the astrologer was so low in her enoughness that she said NO when the Oprah people called in 1997. I remember wishing back then that Charlsie would just get over herself and SAY YES to this life-changing opportunity being extended during those “Remembering Your Spirit” segments as Oprah fully embraced the woo-woo on her show. And here I was in 2016 knowing I would say no too. I was so painfully medicated, trying desperately not to FEEL my wonderful life for fear I hadn’t really earned experiencing such pleasure IN that life. 💪🏽💥💃🏽 Amazingly, my life was going really well despite my attempts to sabotage it, run away from it, not be present for it. This was similar to my DDA realization. What on EARTH would I become — could I become — were I to be on my own damn side for a change? 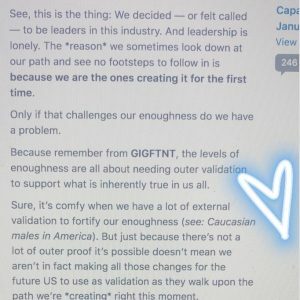 When I wrote this, I was about to make some really big changes. Weightloss of more than 50 pounds. Financial wellbeing the likes I’d never before experienced. And then the deep mind-body healing odyssey that forever changed me. 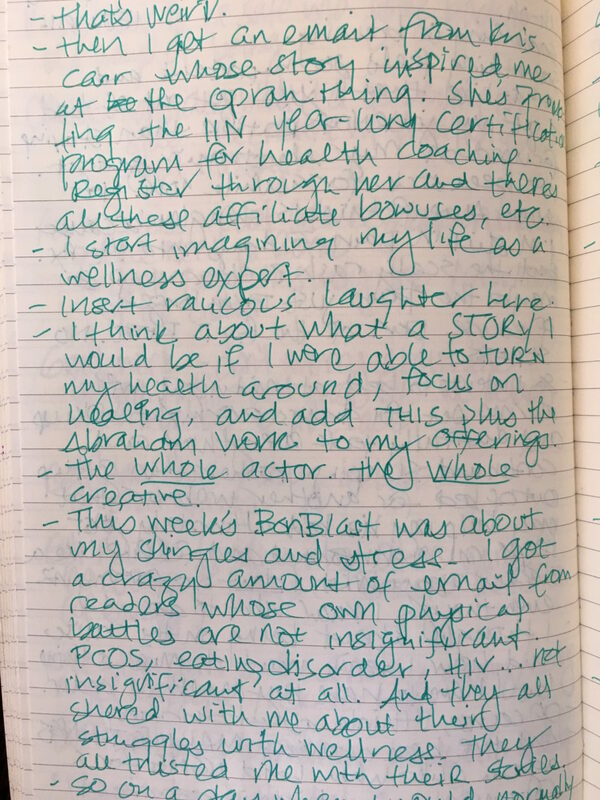 As I ponder this journal entry and consider Expansive Capacity to be what I hinted at two and a half years ago, I am keenly aware I had absolutely NO CLUE how in love with myself, my life, and my story I could become. And when Lisa and Laura Bunbury mentioned seeing me sitting between the oak trees with Oprah discussing this new chapter, I knew it meant this truly is my 3 year, numerologically. This is my year of harvest after two years planting seeds and then tending the garden. I cannot believe I am getting up the nerve to share more of this work with y’all! I’m ready, Oprah. Let’s DO this.